Below I'll be sharing info on how to become a librarian. But first, I'd like to share a bit about my love for books. One of my favorite places to visit as a child was the public library. And one of the first jobs I got to help out with in elementary school was helping to organize books in the school library. So why didn’t I choose to become a librarian? I’m not sure. I think it was because I sensed that I needed to be “out in the world” more than I’d be able to if I were sitting in a room full of books day after day. My love of books stirred up a spirit of adventure in me, especially a desire to see other countries and imagine other worlds. I wanted to create new worlds through writing books so that other children like me could enjoy them. But for some lovers of books, becoming a librarian – especially a children’s librarian – is the perfect way to become surrounded by stories that children love to read. Becoming a librarian is not quite as simple as becoming a writer of children’s books. That’s because a certain level of education is required. 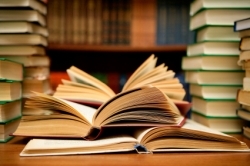 Most librarian positions require a master’s degree in library science (MLS). Librarian jobs also require good people skills, the ability to handle technical services, and administrative responsibilities. In large libraries, duties are likely to be split between librarians who have different specialties. In small libraries, one librarian typically handles all aspects of the job. 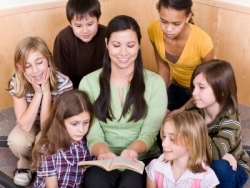 Librarians who wish to specialize in children’s literature should not only be very familiar with children’s literature, they should also have experience working with youngsters in the area of literacy. Community relations skills are also important, since children’s librarians are expected to coordinate activities with schools and other organizations. Elementary school librarians have the advantage of already working in a school environment, giving them the chance to observe children and their changing interests in books every day. Thanks to a growing number of librarians reaching retirement age over the next few years, the number of job openings in this field is growing rapidly. According to the School of Information Resources and Library Science, thousands of jobs are going unfilled each year. If you love children’s books, enjoy helping children find resources they need, are comfortable working with organizations such as schools and other community centers that cater to young people, are good with administrative details, AND have good information technology skills, this field could be perfect for you. The Association for Library Service to Children (ALSC) offers several resources to help children’s librarians do their jobs better.